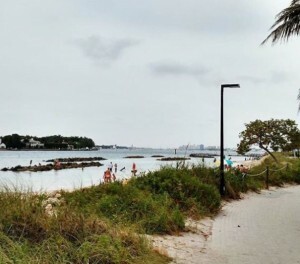 A great destination in South Florida is Peanut Island Park, especially as summer time is upon us. This destination offers breath taking snorkeling options, 20 campsites, and the most popular aspect – Kennedy Bunker. Along the beaches of Peanut Island are colorful fish that crowd the coral reefs of Peanut Island. The snorkeling aspect is great for families because it is in waist deep water. Visitors have spotted small nurf sharks, eels, manatees, rays, and starfish. If you’re lucky, you may be able to come across small sea turtles. Water taxis can transport visitors to and from the island from Sailfish Marina (another excellent restaurant for visitors to South Florida along the Intracoastal), and Riviera Beach Marina. The bunker was created during the Cold War for John F. Kennedy’s command center. You instantly see how unique Kennedy’s Bunker is from the moment you enter through a large, dark mysterious tunnel with a 90 degree angle to prevent shock effects in case of a nuclear explosion in the past. 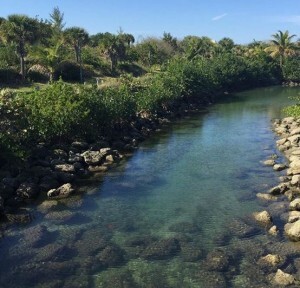 This is a great experience for those who have never seen South Florida and really want to experience the history and beautiful nature of what South Florida has to offer its visitors. 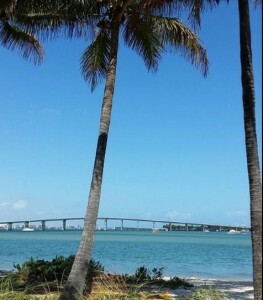 If you want to book an event here, contact Elite Destination Florida. Don’t forget to take advantage of the camping sites that are provided on the island. This island is among one of the most popular to campers, in the area; visitors must schedule up to 60 days in advance. Picnic areas and pavilions are placed throughout the island for visitors to enjoy a meal or relax under the shaded areas. Picnic pavilions feature grills for campers to get you in an island state of mind. Peanut Island is a perfect day getaway for those who want to really get a feel for what South Florida has to offer. Elite Destination Florida can book your next water taxi trip to the island to enjoy a fun day of sun or a fun day of discovering the wonderful history offered in the museum. Contact Elite Destination Florida for more details on how to book your next adventure!